Showing results for tags 'Surround speakers'. Possible to mount Surround Speakers(RS62) to the backwall in this room? Hey Guys, hope someone can help me with the issue. 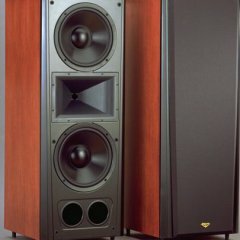 I am moving to a new apartment and i am thinking to expand my current speaker system(currently 2.1) with 2 Surround Speakers (RS 62 preferred). Normally it is recommended to mount the surround speakers to the sidewall. But due to the room layout this is not possible because on one side there is a window and the room is not a square shape. The Room layout with the speakers drawn in (RS 1 and 2 in Position behind the listening position) Hörposition is "listening position" on the picture. And 4.57m is 14.99 feet and 6.01m is 19.7 feet. I am german, sorry The blue things are windows, by the way. My questions: Is it a big problem to mount the Speakers behind the listener directly to the wall? Is there a problem when mounting them behind the listener if one speaker on the wall is not directly next to a wall like the Speaker(RS1) on the picture? As you can see the RS2 would be directly "in the room" with no sidewall next to it. Do you have different suggestions maybe?